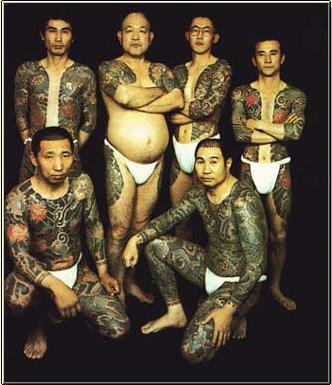 It's usual within yakuza circuits to tattoo themselves, usually is it their clan's badges that they have all over their body. 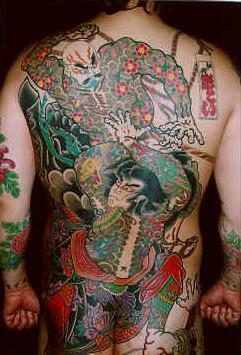 The origin of the yakuza tattoo comes from the Bakuto. 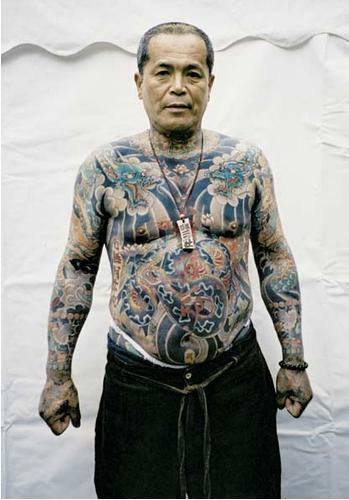 They usually tattooed a black ring around the arm for each crime they committed. Finally it became a symbol of strength. 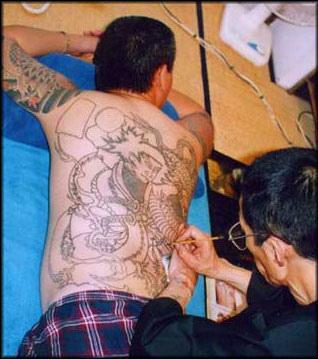 It can take over 100 hours to do an entire back tattoo. The tattoo was to illustrate you were unwilling to accommodate yourself to societies rules and norms. Now is it to illustrate your clan affiliations.